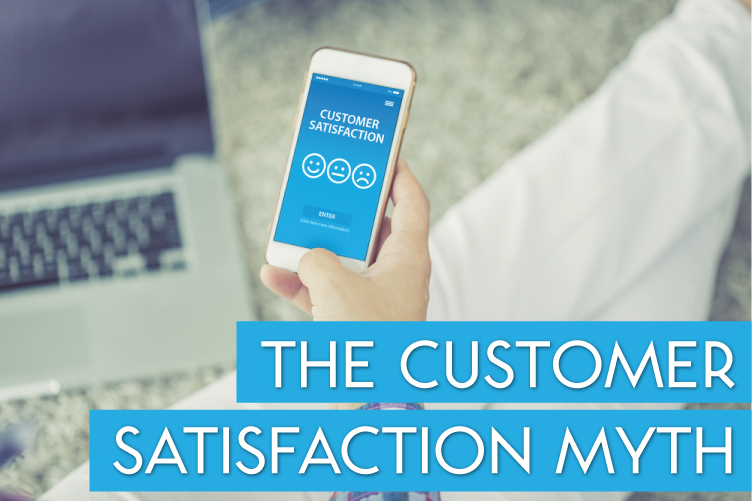 I’m amazed at how many businesses spend a lot of money measuring customer satisfaction. I see brands big and small assessing and evaluating how ‘satisfied’ their customers are. And it literally makes me scratch my head. Just recently I was asked to complete a survey for my internet provider after calling their tech support. On a scale of 1 to 10, 1 being not satisfied and 10 being extremely satisfied, how would you rate your experience today? Firstly, why would anyone be striving for their customers to feel ‘satisfied’ … even ‘extremely satisfied’? Satisfaction doesn’t create talkability and it certainly doesn’t inspire brand advocacy. I’m unlikely to spend time with my friends at a dinner party raving about a customer experience that left me ‘satisfied’ from head to toe. And secondly, understanding how likely a customer is to recommend your brand doesn’t really tell you much. Whether you score a 1 or a 10, it doesn’t give you any insight into why. Don’t get me wrong, I’m all for benchmarking and quantifying your customer advocacy (or lack of). But in order to action, remedy or improve your customer experience, the qualitative is just as critical. Rather than striving for satisfied customers, wouldn’t you want your customers to feel delighted, amazed, thrilled and ecstatic that their expectations were exceeded? I’m well aware that this isn’t nearly as easy to spreadsheet and make a pretty line graph from but when it comes to understanding brand advocacy — how to foster, nurture and multiply it exponentially — it pays to understand the ’why’ just as much as the ‘what’. It will give you depth of insight that even the prettiest of line graphs can’t compete with.